Have you upgraded to the latest iPhone and need to get rid of your old one, stat? Or maybe you’ve decided that buying an iPhone was one of the worst decisions you’ve ever made in the first place? Luckily for you, there are a number of ways to get rid of your unwanted iPhone – in some cases you can even get cash by selling your old model – you just need to know where to look. You’ve probably heard names like Gazelle thrown around before – Gazelle is basically a household name when it comes to cell phone recycling. Using the website you can click a few buttons, find out how much money your phone is worth, and send it off to get paid in a number of ways including check and PayPal. A website called NextWorth offers a similar service too – in fact, you can sell multiple electronics here. They will give you instant quotes, which they guarantee to honor for 20 days, so that you can be sure this is the right choice for you. 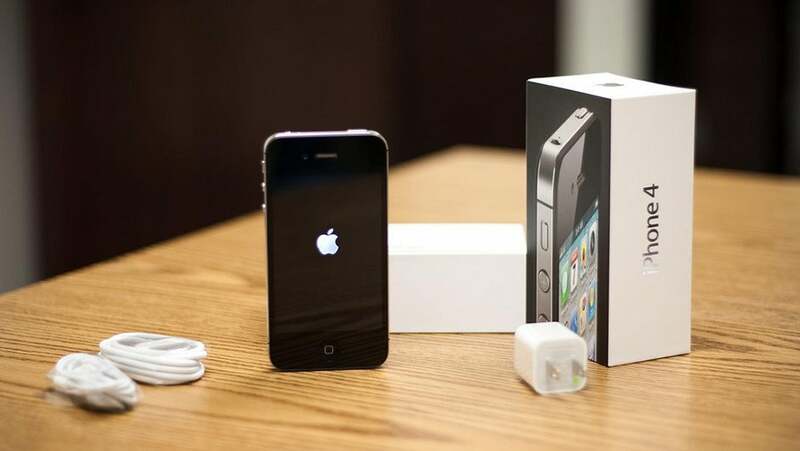 When you sell an iPhone to a recycling trade-in program, it will usually be refurbished to be sold on within the US smartphone market, or sent abroad to less fortunate countries to improve means of communication. Without spending a lot of time doing the iPhone trade in research yourself, it’s hard to know which of these cell phone recycling sites will offer you the most money for an old iPhone. That’s why iPhone trade in tools like GadgetValuer exist – an electronics recycling price comparison website. They’re essentially the middle man – GadgetValuer compares trade-in prices offered from all leading US iPhone buyback programs, so that you can be sure you’re getting the most money for your old iPhone. Programs such as Apple’s buyback offer are increasingly popular with people planning to upgrade to the latest device too. Although, other companies including Best Buy and Amazon are providing more and more competition with their own trade-in services, which offer loaded gift cards in return, so it really is a case of shopping around to find who can do the best deal for you. Apple will usually knock some money off your latest purchase if you choose their deal. If you want to decide how much you get for your old iPhone, another option is to create a listing on eBay or Craigslist. Some people have had more luck than others using these websites, but it does give you the option to state your price and let people come to you. Just make sure your old iPhone is in the best condition possible before you decide to sell it. While eBay has seller’s fees and Craigslist doesn’t, it also has protection from bad buyers too. So it’s up to you to decide what’s most important when you sell. If you’ve got an iPhone that isn’t worth much cash anymore, or you’re just feeling generous, there are ways to donate old iPhone models to charity too. Initiatives such as Cell Phones for Soldiers send your old iPhones out to the military, to give them a way to contact loved ones at home. Other organizations provide secondhand cell phones to victims of domestic abuse, to provide them with a way to get help if they are being abused, or to raise money for other programs. It’s a pretty feel-good option if you’re not worried about making a little extra cash. So there you have it – the top 5 ways to get rid of your unwanted iPhone – but is there more you need to know? Well, don’t expect to get quite this much money for your old model – we can only dream – but you can get a good amount by making sure your iPhone is in great condition before you sell it. This means ensuring it powers on, has a clear display without cracks and is totally functional. It might even be worth getting it fixed before you sell. Don’t worry, you’ll be rid of that iPhone in no time! Tech enthusiast from the South Coast!